(BPT) - Football season is here and whether you're a diehard fan or just a fan of all the Sunday parties, chances are you're going to attend or host a get together centered around the country's favorite sport sometime soon. Lifestyle expert Kris Schoels of Young Married Chic has some simple suggestions for making the most of football parties. The aesthetics of a party are half the fun, so give guests something fun to look at when they aren't engrossed in the game. Pick up plates, cups, napkins and flags with a football theme from a party store. Schoels also recommends making your own football-themed decorations by taking a football-shaped stamp, inking it with your favorite team's colors and stamping white napkins and plates. "To really get in the game-day theme, trade out a tablecloth for green turf and paint your own goal lines for a table topper," Schoels says. "Fill football helmets with chips for a more creative touch and swap out serving trays for chalkboards to label foods and chalk out 'plays.'" Drinks are a great opportunity to use some color to express team pride, advises Schoels. "Use a glass drink dispenser to show off a bright red punch for the Kansas City Chiefs; add some blueberry juice to seltzer with a squeeze of lime for flavor to make a blue fizz for the New York Giants, or add a few drops of green food coloring to lemonade to show love for the Green Bay Packers," she suggests. If you are planning on having a kid's table/viewing area, provide mini bottles of sports drink so the kids can get into the game as well. When it comes to game day food, there are some classic favorites, both at home and at the stadium like nachos, chicken fingers, hot dogs and soft pretzels. For your next party, Schoels recommends putting a new twist on them with an ingredient that everyone loves - melted cheese. "A ready-to-eat fondue like the ones from Emmi of Switzerland are perfect for dipping soft pretzels, pigs in a blanket, french fries and chicken fingers, and even using as the cheese for nachos - it's a perfect way to enjoy stadium foods at home," says Schoels. "Emmi even sells a football helmet-shaped fondue pot at Emmi.com that is sure to get your guests in the zone on Sunday while they enjoy some warm, melted cheese." Whether satisfying a gridiron sweet tooth or keeping it light, there are creative ways to serve football-inspired desserts. "Use a tube of white icing to create laces on football-shaped treats, like brownies cut into the pigskin shape, cupcakes with chocolate frosting or chocolate-covered strawberries," says Schoels. "If opting for a healthier dessert option, try cutting out a watermelon in the shape of a helmet and filling it with fresh-cut fruit." Plan some activities for the pre and postgame to make your gathering more than just a viewing party. If the weather is still nice outside, ask your guests to come early for a quick round of touch football. Once the game is underway create areas where kids and/or non-football fans can talk without bothering the viewers. For non-athlete guests, Schoels recommends a tamer game that everyone can enjoy. "You can make a 'pin the football in the goal' game," she says. "Just tape up a paper goal post cutout to wall; blindfold players and having them try to tack paper football inside the goal area." Buy small prizes for winners like koozies, gift cards and team memorabilia to make the games more competitive and enjoyable for guests. (BPT) - Your wedding is supposed to be one of the happiest days of your life, but what happens when the caterer closes, the head count is wrong and the band is a no show? More than one couple has experienced these types of wedding disasters. Make sure your wedding day is only filled with blissful memories by taking a few steps to do what you can to protect yourself from the financial and emotional impact of wedding-day dilemmas and put your mind at ease. The average wedding costs a whopping $28,427, according to theknot.com, which means couples are spending big bucks to say "I do." Whether you're able to spend $5,000 or more than $50,000, it's important to create a realistic budget and stick with it throughout the wedding-planning process. A good way to stay within budget is to set priorities. Do you care more about the food and not so much about the flowers? Allot more funds for catering and keep the bouquet modest. Create a spreadsheet and involve your partner so you both are on the same page. No one wants to be mid-wedding planning and realize they can't afford what they promised guests, or worse, have a huge bill at the end that risk delays to other goals, such as buying a home. Imagine it's two weeks before the wedding and you just found out the reception hall suddenly closed, the tailor lost your dress and the photographer was in a car accident and therefore can't attend the ceremony. There's always an element of the unknown, and when so much money and emotion are involved in an event like a wedding, it's crucial to get wedding insurance. "Wedding cancellation insurance can help cover losses for deposits sent to businesses who have unexpectedly closed, replacement of damaged wedding dresses and attire, and restaging of photos if a photographer is a no show," says Steve Lauro, vice president of Aon's WedSafe wedding insurance program. "It may even cover up to the full cost of your wedding if your event is postponed due to unforeseen circumstances such as extreme weather or a venue shutting its doors." "Event Liability insurance, required by many venues, is another type of coverage you may be required to obtain in order to adequately protect your wedding," adds Lauro. National average wedding costs: $2,379 for a photographer, $1,997 for a florist, $12,905 for a reception venue, $63 per guest for catering. When investing so much money into a wedding, you want to make sure the businesses you select are the best of the best. Spend time researching different venues and vendors before you sign on the dotted line. When researching, ask and make sure each business carries liability insurance. Get references and spend time emailing and making calls - a real person will give you the best insight into what type of experience to expect. Check out every business on BBB.org and read online reviews. Many couples plan a wedding a year or more out, so it's important a month prior to confirm all the details to ensure a smooth and beautiful wedding day. Call vendors and event sites to verify times and services. You'll receive lots of paperwork during the wedding-planning process. Keep copies of all contracts in a specified folder. Record how much was put down on deposits and when additional amounts are due so you don't miss a payment. Keep a spreadsheet of all important numbers in one document for easy reference. Give this document to several trusted people so if you need assistance calling, particularly on the day of the wedding, your mother-in-law or best man can step in and help. Make sure your special day ends in wedded bliss rather than a wedding disaster. These simple tips can help ensure a beautiful experience for you and your guests, and protect you should you encounter an unexpected surprise. …in Downtown Canal Winchester! 800 SF Mother In-Law Suite/Apartment with Kitchen above 3 car, detached Garage with carport. 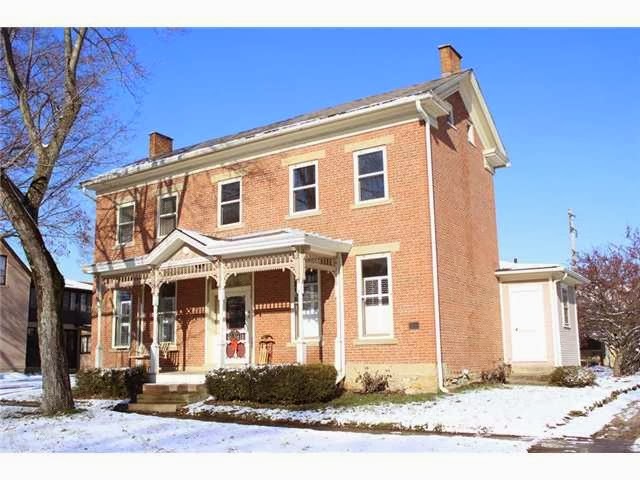 Original, wide plank hardwood floors, trim & transoms throughout. Dining Room with built-ins & decorative fireplace accesses Sun Room/Office. Hearth Room with huge brick fireplace. Master Suite with private Bath. Front Porch with swing. 1st floor laundry (washer/dryer remain). 4 BR’s & 2.5 Baths! 3,300 SF! Canal Winchester Schools! Only $279,900! Call DeLena Today! (BPT) - Most parents know that kids are safest in a car when buckled up. But there are situations when families decide to take a risk by not buckling up their children on every ride. A new survey reveals one in four parents admits to not buckling up their child in the car. The "Buckle Up: Every Ride, Every Time" study released by Safe Kids Worldwide, funded as part of a $2 million grant from the General Motors Foundation, surveyed more than 1,000 parents, focusing on families with kids ages 10 and younger to learn more about their habits when buckling up their kids. Surprisingly the research found that younger, more educated, and affluent parents are more likely to take a risk and ride with their kids unbuckled in a car. "The number of children dying in car crashes has declined by 58 percent, but this research shows that the trend toward buckling up kids on every ride could be heading in the wrong direction," says Kate Carr, president and CEO of Safe Kids Worldwide. "We want to remind all parents that it's important to buckle up their kids every time, on every ride." Motor vehicle crashes are the leading cause of death to children. According to the National Highway Traffic Safety Administration (NHTSA), 679 children ages 12 and under died in motor vehicle crashes, a third of which were riding without a child safety seat or seat belt that could have saved their lives. In addition, older children are more often unrestrained in fatal car crashes compared to younger children. When properly used, car seats can reduce the risk of death by as much as 71 percent, according to the National Highway Traffic Safety Administration. The "Buckle Up" study showed that while some parents and caregivers may be diligent about buckling kids up in most cases, they sometimes bend the rules in certain circumstances, including during driving a short distance, during overnight travel, or as a "reward" for a child. "One-third of children who die in car crashes are not buckled up," says Carr. "It only takes one time riding in a vehicle without buckling up for a life to be changed forever. There is no reason important enough to take the risk." The findings also showed some disturbing trends about what type of parents are taking the most risks. For example, 27 percent of younger parents (ages 18-29) said it would be acceptable to ride with a child unbuckled for short rides compared to 19 percent of older parents. More affluent parents and parents with graduate degrees were also more likely to find it acceptable to not buckle up their kids. 1. Buckle up on every ride, every time. 2. Talk to the adults who will be driving your kids about buckling them up. 3. Check that the car seat, booster seat or seat belt fits your child and is used properly. If you're unsure or are having trouble installing your car seat, download a car seat checklist or attend a car seat inspection event where a nationally certified child passenger safety technician can help or even double check your work. Parents and caregivers can visit www.safekids.org to locate an event in their community. BRAND NEW & VERY SPACIOUS! Five level home nestled onto ~3/4 acre gently rolling lot backing to trees. 4,850 SF on 5 finished levels! First floor Den and Laundry. Spacious Great Room and huge island Kitchen with granite countertops and maple cabinets! Master’s Retreat with whirlpool bath and giant Closet. Finished fourth level with Recreation Room, bar and Half Bath. Finished fifth level with Theatre area and Full Bath. Upper level Bonus Room and so much more! 4 BR’s, 4 Full Baths and 2 Half Baths. Olentangy Schools. Only $599,900! Call DeLena Today! Winter is Coming Fast! Get Prepared! NEW LISTING IN WASHINGTON COURT HOUSE! 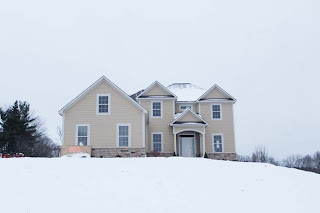 December 2013 Real Estate Update!